This lightweight, high-density microfibre jacket has a soft finish and employs the latest Japanese technology for maximum comfort and style. Fully lined and suitable for both casual and office wear, it features a full front zip, two side pockets, an internal pocket and decorative zips on both seams. For the latest and most comfortable in winter office apparel, you can’t go past the Ladies Microfit branded jacket. One of our most popular jackets for businesses, the Microfit jacket employs the latest in Japanese technology to produce a jacket that is lightweight and warm for maximum style and comfort. 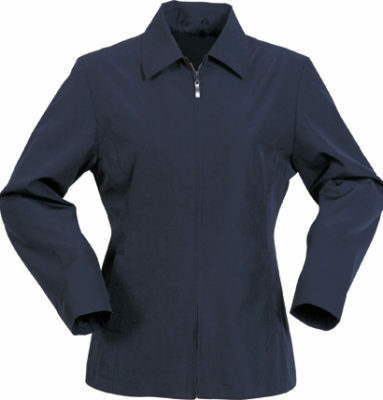 The Ladies Microfit branded jacket is breathable, water repellant and helps protect against the cool winter winds. The jacket looks great with a screen printed or embroidered logo helping to promote your brand. Team up the Ladies Microfit jacket with the men’s style to provide a cohesive and professional look across your business. These jackets are fully lined, and feature a full length zip pocket, two side pockets and an internal pocket. Available in a range of sizes and colour options, the Ladies Microfit Jacket is a similar style to a standard business shirt, ensuring your staff look professional while staying warm throughout winter. To help your staff stay warm this winter whether in or out of the office, and to help spread word of your business, choose the Ladies Microfit branded jacket for your corporate apparel wear.